GRIN's Camp Store | Not your average tuck shop! 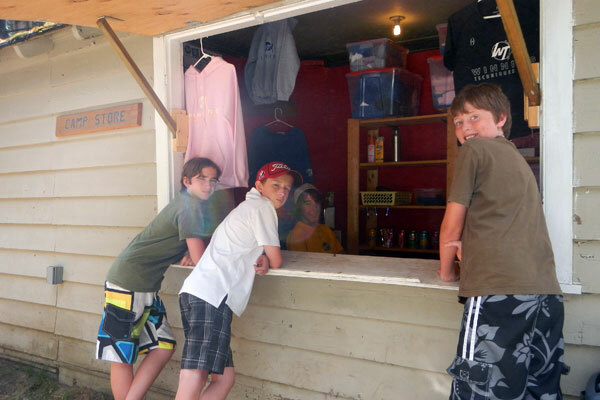 GRIN’s Camp Store provides a place where campers can purchase treats and souvenirs. Items available include chocolate bars, chips, candies, drinks and other corner store products. Campers can also buy Winning Techniques Camp clothing and apparel such as T-shirts, Hoodies, sunglasses and more. If you forgot some necessities then you will want to stop by GRIN’s to find toothbrushes, bug spray, suntan lotion, and the like.